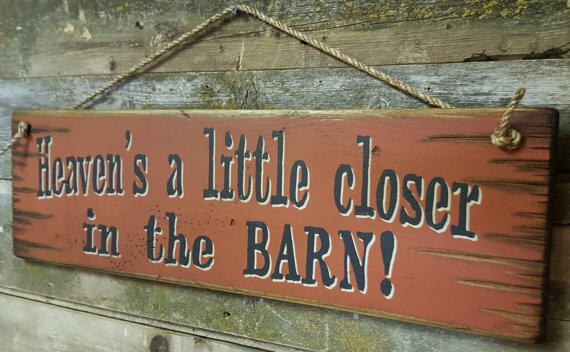 Heaven's a little closer in the BARN! 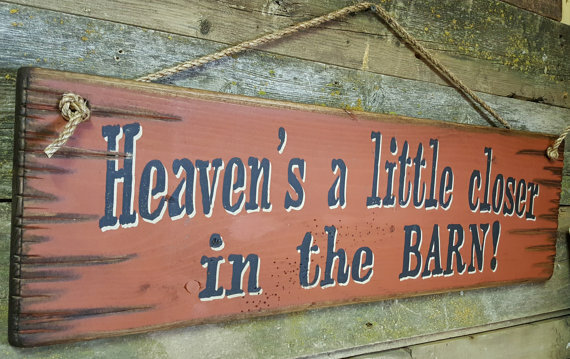 Hang this sign in your barn or your house to remind yourself that when you are around your animals, heaven's just a little closer. This rusty red background sign measures 9x30 and comes with the grass rope hanger for easy hanging. Handcrafted with pride! About Heaven's a little closer in the BARN!